iDancehallReggae.com::Caribbean Lifestyle Media::: TJ records and Popcaan "Part Shot"
TJ records and Popcaan "Part Shot"
As summer approaches music lovers are waiting for THE anthem to make them dance, blast the car stereo and turn up their radio at full volume. 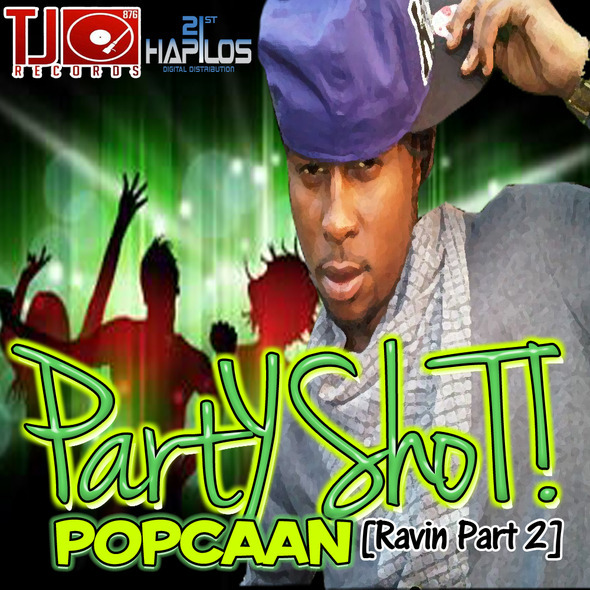 Billboard charting producers TJ records and international dancehall artistPopcaan hit single "Part Shot" are contenders for THE summer song! Once again TJ Records teamed up with di ravin king, the man NY times calls "smooth voice with a hint of shrillness" aka Popcaan to deliver an instant hit. "Party Shot" available on itunes received over a million views on youtube. TJ Records became a staple of dancehall from the moment Bill Back riddim hit the airwaves, and to prove that they were not just a one hit wonder, they followed up with Show Time riddim both riddim became instant classics, but it's So Special by Mavado and No Games by Serani that cemented their name in the industry with what music insiders called the #1 riddim of that year. The songs crossed over to the International market being heard on the hottest urban and top 40 pop stations worldwide and hit the billboard chart. When asked the key to his success “TJ” White says “I follow my own path and instinct”. With "Party Shot" TJ Records proves that all this success is far from Unfinished Business. Don't forget to mark off April 20th on your calendar for the 21st Hapilos Digital 2nd Anniversary & Recognition Awards. This FREE event welcomes everyone from fans and supporters of dancehall and reggae to political figures, music creators and artists. The event sponsored by Rum Fire will award and recognize for Best Seller Awards, Rookie Of The Year Award , Digital Recognition Award and Digital Buzz Award .